Forget that Hollywood live-action adaptation nonsense, scientists and researchers in Japan are trying to turn the world of Ghost in the Shell into reality. The Ghost in the Shell Realize Project, which launched in 2014, fosters projects and ideas inspired by the famed sci-fi manga and anime. 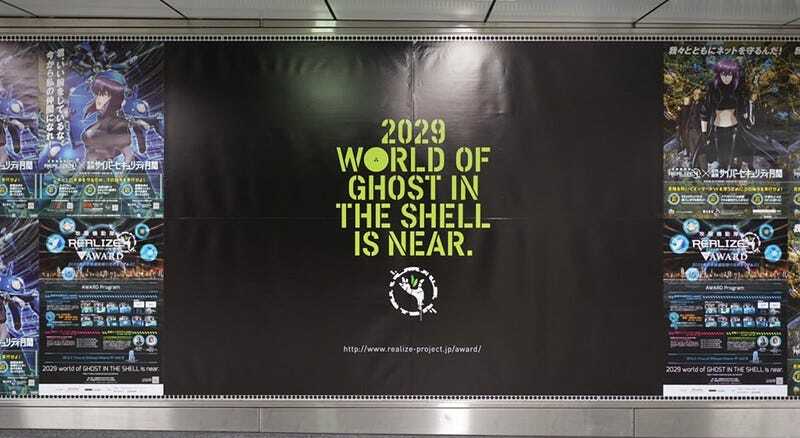 Previously, the Asahi News reported that NTT Docomo Ventures, which is part of mobile communications giant NTT Docomo, was meeting with academics and researchers to see which Ghost in the Shell technologies were possible to implement. As website Watashi to Tokyo and Dengeki Hobby reports, last week the Ghost in the Shell Realize Project held an award ceremony to showcase the best projects, such as this Cyber Protection Suit. It was also announced that Japanese company Cerevo will produce a real Tachikoma robot (however, it’s at half scale of the original). Here are some more projects that have been in development.